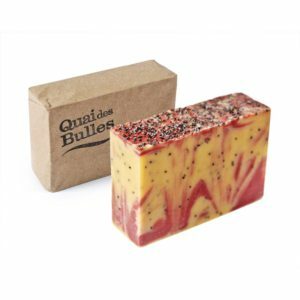 When we came across Quai des Bulles soaps in a shop in downtown Toronto, we gravitated toward their beautiful look, and arousing scents. We found out that all their products are made from natural and biodegradable raw materials: cold pressed oils, dried herbs, plant extracts, emulsifiers and vegetable waxes, essential oils of therapeutic quality etc. Of course sourcing local is important to us, so we love that they make an effort to use ingredients from the region: the essential oil of fir or cedar, Gaspé seaweed, wild rose flowers, Manicouagan mud, apples, blueberries, carrots, Sea buckthorn, beeswax and even beer! 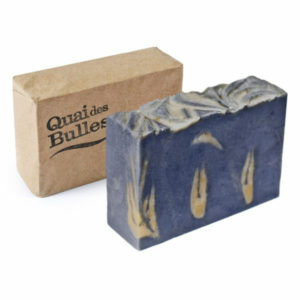 Their products are good for your head right down to your toes, and great for pets too. We highly recommend picking up each bar, breathing in each scent, and finding your next true love. 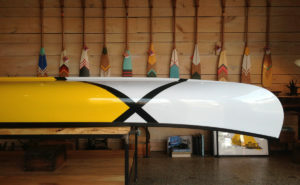 Available online, as well as at select retailers across Quebec, and one lucky shop in downtown Toronto, Ontario.